Hi! Balak ko rin sana wag magtour package. Dalawa lang kami pupunta ng Palawan ang package tour ng Honda Bay 1100 per head. Do you think mas maganda na wag mag package tour? Thanks! Hi Ej! Thanks for dropping by and reading my blog. Yup, mas makakatipid kayo kung hindi kayo magpapackage tour. P500 usually yung bayad sa tricycle papuntang Hunda Bay pero tawaran nyo na agad ng P400. Yung boat rental sa Hunda Bay is P1300. Compared to P2200, much cheaper naman yung P1700 di ba? Tsaka malay mo may makasabay pa kayo, pwede kayong magshare ng one boat para P650 na lang ang share nyo. Pero mas maganda kung solo nyo yung bangka kasi kahit magtagal kayo sa isang island wala kayong aalalahanin na may naiinip at gusto ng lumipat sa kabila. :))) Have fun sa Palawan! hi, i really appreciate your blog. actually, i will consider all the info that you’ve mentioned sa tour namin. pero may tanong lang po ako. un po pang P400 na tricycle one way lang or two way? salamat. Hi Macoy! Yung P400 na tricycle is balikan na. Inform nyo lang yung trike driver kung anong oras nya kayo babalikan sa Honda Bay. Babayaran mo lang siya kapag naihatid nya na kayo sa hotel or pension house nyo. Ganun din sa city tour, I think P500 or P600 sinisingil nila pero pede ka namang tumawad. 🙂 Balikan na rin yun. (1) How much is the entrance fee to each of the islands? 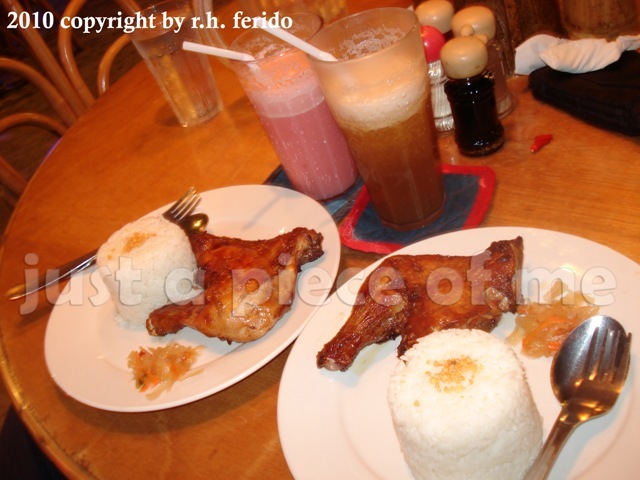 (2) Where did you order your lunch baon? (3) Are there sheds on the beaches? Didn’t you have any info in going to the underground river? we will be going to Puerto Princesa on March 17 to 19. There are lots of person who gave us quotations and they are too expensive on what you’ve said in your blog about the prices. I’m considering a van but I guess that would be much expensive right? 4 persons in a trike is okay, P7/head. I was not able to get the trike’s contact number. 😦 But most of the trike drivers are nice naman so you don’t have to worry. Hi. Your blog is really informative. We’re planning to go to PP next month. I would just like to ask how much it would cost us if we ride the jeepney from the city proper to Sabang? Where do we find these jeeps? And, how many hourse would the entire Honda Bay hopping last? Possible kaya na isabay ang Honda Bay hopping and Underground River tour? Hehe. Take the blue multi-cab with the “New San Jose Terminal” signboard in Rizal Avenue. Alight at the terminal. You can ask the driver for the exact place. There are four jeepney trips to Sabang Wharf: 7am, 9am, 12nn and 2pm. BUS returns to Puerto at 1pm. The jeepney fare is P125 for Filipinos and P200 for foreigners. You can’t have the Honda Bay Island Hopping Tour and Underground River Tour at the same time. It is a 3 hour ride by bus or jeepney and 2 hour ride by private van. 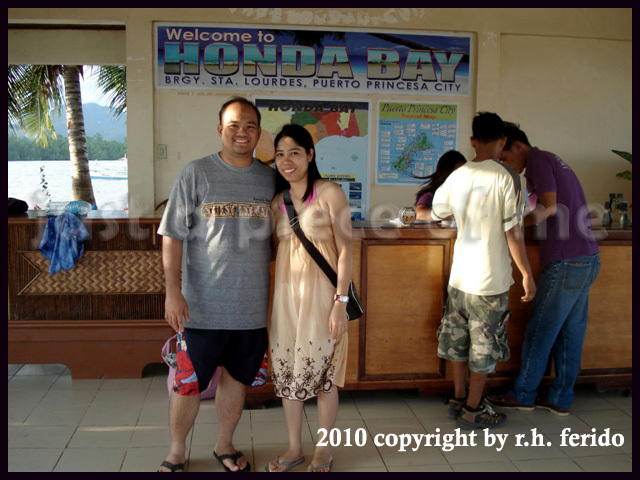 Honda Bay Tour, it depends on you… It can be a half day tour or a whole day tour. Good info on your blog.My sister and I would be going to Palawan this March and would also be staying at Aniceto Pension. From the airport, do I only need to pay Php 7 for the trike ride to the pension house? 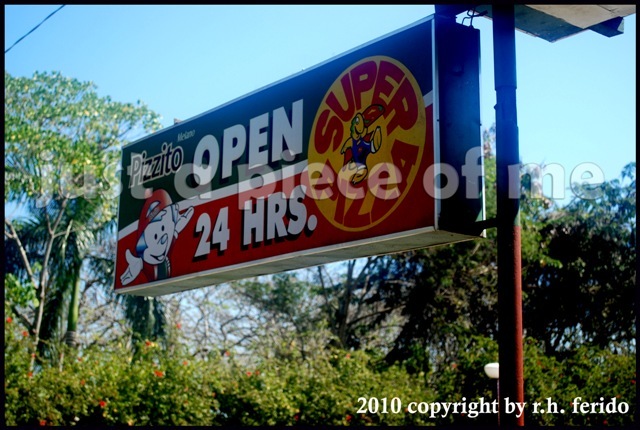 Also, any recommended place where we can have an early breakfast near Aniceto? Thanks!! After your breakfast, you can take a trike from there with P7 fare per head. Have fun in your trip! Hi!! thanks for sharing your DIY tips.. Okay ang Aniceto, nice ang tao dun most especially the owner. Yup, nagpa-reserve ako dun via email without downpayment. Wala namang problema sa reservation kasi inililista nila yung names ng guest nila na dadating. May malaki silang notebook dun, you’ll see when you get there. 😉 Enjoy your trip as well as your stay sa Aniceto! wats the name of your reliable tricy driver.? kasya ba 2 adults and 2 kids sa tricy? 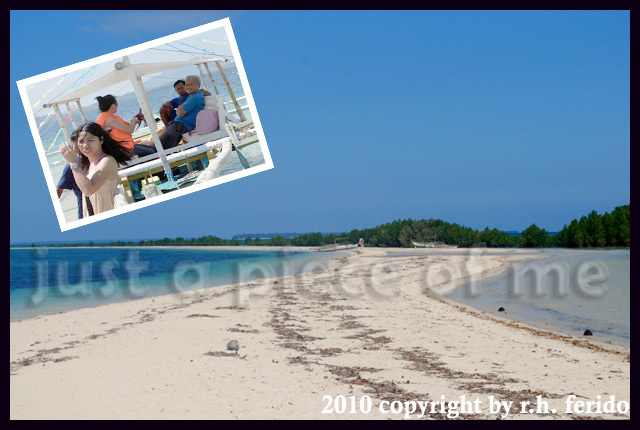 from airport you went directly to honda bay and from there you went island hopping? Yup, kasya naman yung 2 adults and 2 kids sa trike. 😉 Pagdating namin sa airport, kumuha lang kami ng trike sa labas ng airport (highway) at kinontrata namin siya in going to Hunda Bay. Dumaan muna kami sa Aniceto para iwan yung mga gamit then diretso na kami sa Hunda Bay for island hopping. Sinabihan lang namin yung driver kung anong oras niya kami susunduin. hi good day.. your blog is great and very informative. It give me ideas on where to go and what to do in palawan. Our Family will visit there this may. Ask ko lang po saan po yung mga beaches na naka lagay po sa third day niyo sa puerto princesa? may map po ba? Gusto ko po sana kasi isama yun sa itinerary namin. thank you po. Hi, ang sarap basahin ng blog nyo. I believe that this would really help me, btw, i’ll be going to Palawan on june 16, as a graduation gift to my self. pero the problem is, mag-isa lang ako. hindi kaya ako mahirapan? kase ung mga rides ko solo lang, mukhang magiging magastos yata? i plan to get a package tour sa internet pero natatakot ako kse baka ung iba scam lang. any advice from you guys? I really need your help. or bka mamaya nyan once na andun na ko eh magkaligaw-ligaw ako. 🙂 one more thing, kulang po ng isang digit ung contact number ng Aniceto Pension hous, at mgkano po ang rate nila? THANK YOU SOOOOOO MUCH!!! More powers to YOU. 😉 GOD bless you. WOW! What a great gift to yourself! 😉 You’ll definitely enjoy Palawan kahit mag-isa ka lang. Pero siyempre mas masaya kung may kasama. 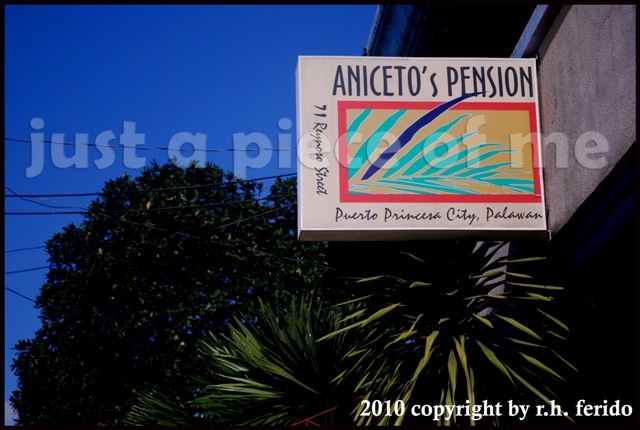 You can check out my other blog for Aniceto Pension here with contact numbers. Salamat at napansin mong kulang, I thought na-edit ko na yun before eh. heheh. Kung gusto mo, pwede ka ring maghanap ng makakasabay for that tour kung plano mong makatipid. Daan ka sa Pinoy Exchange, marami din dung naghahanap ng makakasabay sa trip. Pero since REGALO mo sa sarili mo yan, enjoy the trip ALONE. 😉 Good luck! Thank you po sa reply nyo. questions po ulet, what if dalawa lang kme pumunta ng Hunda bay, mgkano ung babayaran namin each? at sa underground, magkano each? (kasama na ung fee at boat). thank you po. Hi.. I was given a rate of 3,600/pax inclusive of city tour,underground w/ lunch,honda bay tour w/ lunch,hotel accomodation & airport transfer. Do you think mura na to? Just to add, we are 12 pax. Travelling period will be Nov. 25-27.
thank you for posting our pizzito here. 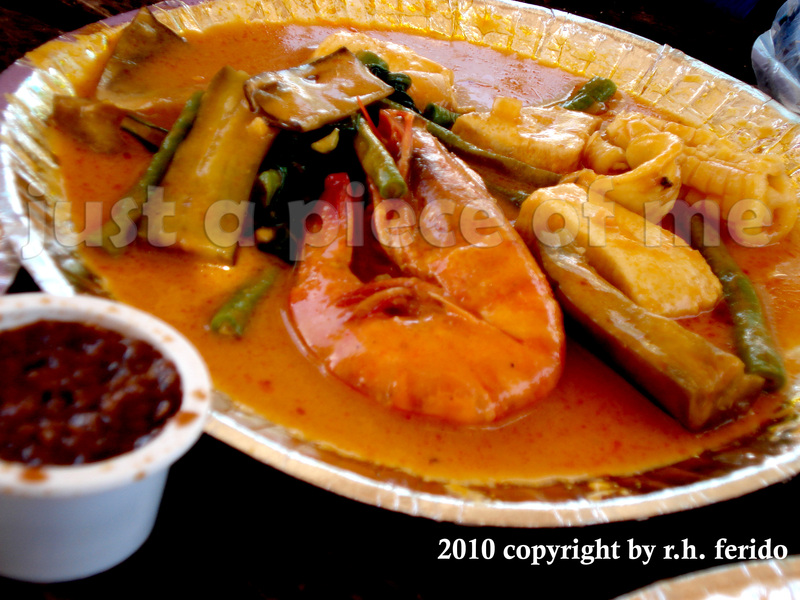 hope to see you eat there again when you “kambak” to puerto. Do you think 2days will be enough? I really need your help since this is my first time to do a DIY tour.. I have been to diff places but then it’s always under tour packages since an educational tour way back in college..
*** I will highly appreciate your response.. Thank you for reading my blog! 🙂 Well, you have a very good itinerary which is really doable in 2 days. :)) Clap clap clap! However, I have some suggestions you might consider. There’s nothing much to see at the NCCC Mall, you’ll just get disappointed. Isetann or Ever is way better than this mall. Always be aware of the time on DAY 2 so that you’ll have enough time to go back to the airport prior to your departure. Oh btw, are there any other things that we can do in Mitra’s Ranch other than zipline? Hi G-nang. 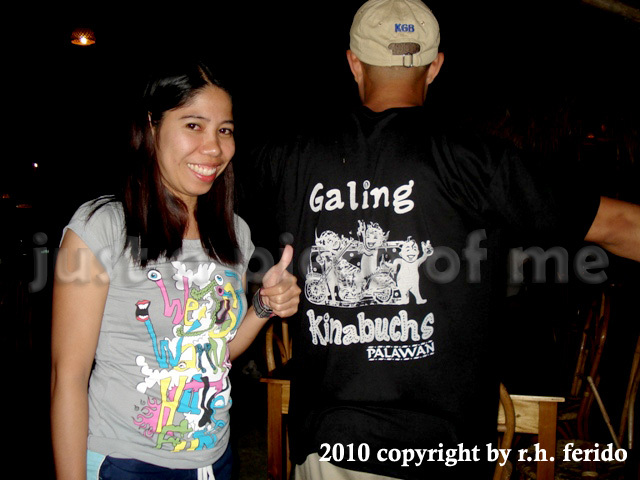 Just want to ask your opinion kung saan mag okay kumain sa Kinabuch or Badjao Seafront Restaurant? thank you. Sa Kinabuch kasi, affordable yung meals at masarap din naman. Sa Badjao Seafront Restaurant naman, pricey pero masarap din according sa mga nakakain na dun. Kung baga, sa P500 marami ka ng mao-order sa Kinabuch pero kung sa Badjao yun, baka isa o dalawang meal lang. But if you are willing to splurge in food, go to Badjao Seafront. Kaso may kalayuan lang unlike Kinabuch na nasa Rizal Avenue lang. I’m thinking to drop our things off that’s why we’ll go back to Aniceto.. Anyway, I didn’t know that traffic will take about 30mins, heheh..
No, we haven’t tried that yet… When we went there for the first time, I did not include it in our itinerary because I have learned from other pexers their experiences that were not so good. Maybe the best time to do that is during dry season. Only a few comes out if it’s raining, based on what I have learned. This is not to disappoint you… just weigh your options. hi! it will be our first time in pp and no idea at all..we’re family of 9. we will be having 4d 3n trip…be arriving 1:30pm at pp and be back on the last day at 5:30pm. can you help me with itinerary that will enjoy by elderly and kids together..hirap ng combination noh..si lolo/lola at mga apo…nahihilo kasi ako sa mga pipiliin kong puntahan as per blog here..its all helpful though..and alam mo na budget wise..dun sa acietos ba un i tried emailing pero wala pang reply..kya dko alam san inns ok..pag mgbbeach kme may cottages ba dun and may fee? parang boracay lng din ba? Always start your tour EARLY… 🙂 Good luck in your preparation! Been reading all the post and blogs. planning to travel next year with 8 adults and 10 children…. ( Lord have mercy on me:-), I been looking for a place to stay where I can actually cook….your blog site is very helpful. I stayed in a hotel in PP back in early 2009….only two of us, but now I will be with a herdful of relatives…..it will be fun, Aniceto’s seems like the place to be then:-) I will keep on reading, thank you very much!!!!!! Hi there! If you would rent a trike for city tour, I suggest na Mitra’s Ranch, Bakers Hill, at Crocs Farm ang puntahan ninyo. Kasi as far as I know, yung P500 is good for 4 hours lang. Kung pupunta pa kayo sa cathedral at baywalk, baka hindi ninyo ma-enjoy ang pamamasyal sa labas ng city. Don’t worry, pwede naman kayong pumunta sa Cathedral at Baywalk through walking or riding a trike, P8/head lang ang bayad. Kahit saan may trike.. San nga pala kayo mag-i-stay? thanks poh sa reply..i appreciate it…we’ll stay sa Duchess Pension HOuse malapit sa NCC mall pra if in case meron kami gustong bilhin malapit lang sa mall and i heard malapit lang din po yun sa airport.. tama po ba? Yeah, mas malapit compared sa Aniceto. Yung NCC mall, maagang magsara. I think 6pm closing nila. 🙂 Kakaiba noh? Hehehe… but don’t worry pwede naman kayong pumunta sa palengke kasi may bukas dung grocey kahit gabi na. Yung malapit sa jollibee. I was wondering po..ung rent po ba sa Boat for Island Hopping 1,300 pa rin kahit half-day lang ang tour? Any Ideas po? Me and my Partner would like to do the hallf day island hopping sa 1st day then sa 2nd day ung underground river tour. sa 3rd day ksi nmin uwi na kmi ng manila ng 10 AM.. so wla kami masyado magagwa sa last day. 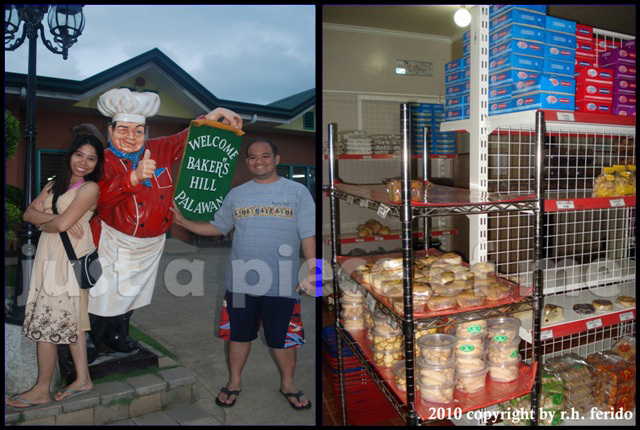 never mind the city tour.. hehehehe.. pwede nman dmaan ng Baker’s Hill after ng Island Hopping to buy their famous hopia..
Hello. Your blog is very informative and entertaining. I’m planning a trip for 2 in June. Nahihilo ako kung ilang araw ba enough sa Puerto kasi plano ko Puerto for 4 days and then go to El Nido for 4 days. Sa tingin mo, ok na yon? I haven’t finalized my itinerary yet pero siyempre priority young Underground river. Also, foodies kami so hinahabol din namin yong good restaurants. hi, very informative po ang blog nyo.gabi na po kasi kami makakarating ng palawan then second day we are planning to go to underground river ng umaga pagkatapos po hapon hunda bay hopping po kami. possible po kaya yun? kulang po kasi sa time and ang mali ko dun di ko nakita yung travel time nung nagbook ako sa cebupac. parang one whole day lang kami.. 😦 please help with our itinerary thanks!